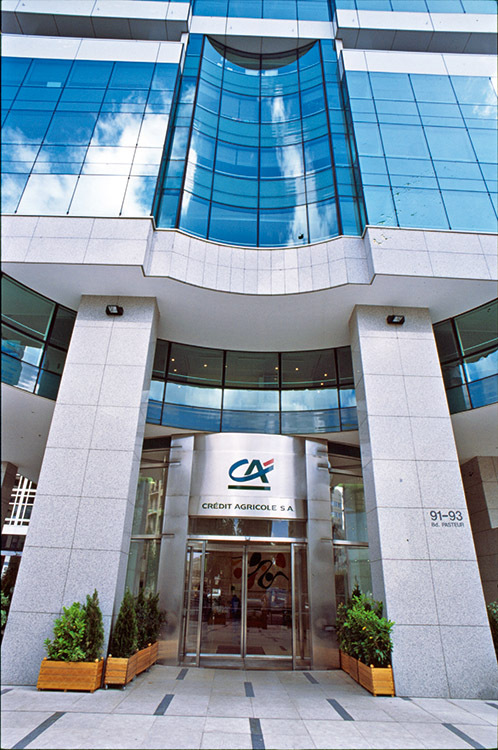 Crédit Agricole is a France-based banking organisation with 28 percent of households and is present across the entire spectrum of finance activities. It serves 58 million individual customers worldwide with a network of 11,850 branches in more than 20 countries. Crédit Agricole is the largest retail bank in Europe in terms of income from retail banking. Leading in France, it ranks third in Europe and ninth worldwide in terms of Tier 1 capital. The group is present in 74 countries and has more than 160,000 employees worldwide. In 2008 its shareholders’ equity  was €64bn, net banking income €16bn and net income €1bn.